Now comes the volcano | Watts Up With That? In addition to the other observed factors such as a long sunspot cycle and minima and PDO flip, now we’ll add some aerosols to the mix. Volcanism has been quiet for the most part for a few years. This should have a cooling effect on the southern hemisphere. I’ll point out that the effects on atmospheric albedo is yet unknown and depends on the strength of eruption, and quantity of ash and aerosols ejected into the stratosphere. The volcano, 800 miles south of the capital Santiago, had not erupted for more than 450 years and was considered dormant. But it is now belching enormous clouds of thick ash that have drifted across a large area in both Chile and the Argentine province of Chubut, where an airport was forced to close. Just six miles away, the town of Chaiten has a population of 7,000. Long used to the menacing form of the 3,000-foot mountain, it is now overshadowed by a towering column of ash. Mt. Redoubt Eruptions – What Effect If Any on the Summer? Winter? Chaiten is located at 42S. I wonder whether explosive Southern Hemisphere volcanoes warm the South Pole, a few years after the eruption, the same way Northern Hemisphere eruptions warm the north. I guess we’ll find out in 2-3 years. The graphs posted fuzzy so I included links to them on TinyPic. I believe it will be too far south to have a significant impact. I’d still like to see someone explore the idea that volcanoes could be correlated with solar or crf. If crf creates ions for cloud nucleation, maybe it also can ionize particles in magma, create precursers for aerosols, and cause changes in pressure differentials within volcaonoes. Changes in magnetic fields could also contribute to instablility. Don’t most volcanoes give days, weeks, or even months of warning signs before a major eruption? This is the first I’ve heard of this one. Did I miss something? about anything of the magnitude of Tambora, or St Helens, which compared to Tambora was puny. It might effect temperature a few 100ths of a degree. Big deal! Maybe the real news is that it coincides with other tectonic events that have just occurred in North America. Are the big plates a moving? REPLY: My only point here is that that one is a surprise, and we haven’t seen much volcanic activity recently. As I mentioned in the posting, the magnitude of effect is yet to be determined. Major volcano eruptions which inject large volumes of aerosols into the stratosphere cause cooling, not warming. The most recent example was the eruption of Mount Pinatubo on 15 June 1991, which cooled the planet significantly for a few years. The cooling is primarily caused by the reflection of sunlight from the aerosol cloud, which after a few weeks is largely composed of sulfur dioxide that eventually forms a layer of acidic aerosols. The mineral components of the eruption (“ash”) fall out much more quickly. You can see the effect of the Pinatubo aerosol cloud on the optical depth of the atmopshere and the ozone layer in charts on my web site (below). Fortunately, I began making these and other sun and sky measurements and photographs on 4 Feb 1990 and captured the full impact of the Pinatubo event. Whatever the magnitude of the impact, its duration will only be a couple years at the most. A mere blip compared to the centuries of impact anthropogenic fossil fuel derived CO2 will have. A good site for world hazard information is the RSOE Havaria information service. 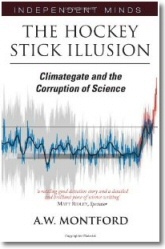 Shows everything from bird flu outbreaks to unusual snow storms. There is more to be found there on the Michimahuida eruption. Click on the appropriate volcano symbol and browse through the headings. I’m glad this has come up because I need to ask a stupid question. Were the eruptions in and around the solar minimums coincidental or is there a link with the sun? Been reading your blog for months Anthony and finally am posting. It is all TBD at this point but consider Pinatubo was not very large really but lowered .5c add that onto the possible current trend anthony has been talking about here and we are -1.1c or more… that was before PDO flip and yada yada… We could look at some serious damage to the Southern Hemisphere.. There is tons of reason to be concerned. Err how did that happen my first comment did not make it :/ Well anyway I will post it again. Aaron, There is no infos I can find at the USGS weekly reports about this volcano of any unrest or anything… I think its possible this caught them by surprise. It shows they are human for one and that not all is known. Nothing bad about this really it just shows how inexact a science volcanism is. I would hazard to guess this is the same story for the IPCC and so forth with forecasts of the “warming” they do not know and just guess. Although guessing is bad news when it comes to basing policy around.. It is likely possible that if this has a cooling effect equal to Pinatubo as said above that we are looking at terrible wheat crops in Australia.. This would exacerbate problems already seen.. Food shortages are likely and round the merry go round we go.. Just how will the Goracle respond? It may be small, but expect the AGW cultists to explain away SH cooling with aerosols from it. True, but we’re sure to get a winner one of these days, right? Right. I may have sounded more critical than what I actually meant to be in my last post, and wasn’t trying to be some wiseguy or something. Sorry if I came across that way. What is interesting is that the volcano erupted without any warnings – at least nothing public. I thought scientists were able to see these things coming with all their high-tech seisomographic gear. Volcanic cooling depends on the quantity of SO2 injected into the stratosphere and proximity to the Equator. This eruption is likely to have little effect. Note that in the short cooling in the early 90s was attributed solely to Mt Pinatubo, while a similarly large eruption occurred at Mt Unzon without any impact. I believe the 450 yrs is wrong. Many articles are quoting 9000-10000 yrs dormant. The Chaiten volcano has “probably been dormant for about 9,000 or 10,000 years but that’s not unusual,” said Charles Stern, a professor of volcanology at the University of Colorado who specializes in Andes volcanoes. 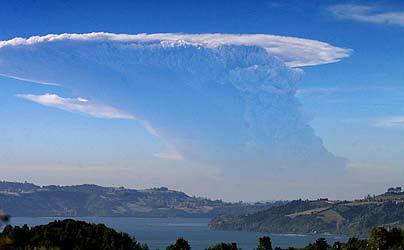 Chaitén volcano is located in southern Chile, 10 km NE of the town of Chaitén on the Gulf of Corcovado. The volcano contains an obsidian lava dome in a 3.5 km wide caldera. The volcano is covered with snow, but does not contain a glacier. Two small lakes occupy the caldera floor on the west and north sides of the lava dome. The volcano erupted on 2nd May 2008. Ash emissions reached a height of 20 km. More than 1500 people were evacuated from nearby villages and the town of Chaiten. This was the first historical eruption at the volcano. The previous dated eruption was over 9000 years ago. if this volcano’s eruption isn’t more then a VEI-4, then it’s probably not going to have any real effects on climate. It doesn’t matter if it’s “peanuts” or not. You can bet a dollar to a donut the Pogies will claim it’s the reason for the unusual cooling! They thing about volcanoes is that the recovery afterwards is very quick (which probably indicates a low climate sensitivity) so the cooling effect of this volcano, if any, will not last very long. Eruption columns from other well known eruptions. There have been plenty of eruptions around the world recently, but they are small ones with small eruption columns. I don’t see the connection. Unless you’re looking at the run of higher magnitude volcanoes during the Maunder Minimum. So far, the eruption isn’t big enough to have much effect, nor has material been injected high enough into the atmosphere. There was a mag 5 earthquake nearby today and the eruption may continue and intensify (or it may not). Large volcanic eruptions are typically preceded by weeks or months of moderate eruption. Google Krakatoa for an example. BTW, Australian wheat production isn’t temperature limited and even significant cooling wouldn’t have much effect. Except to the extent the cooling affects precipitation and evaporation. I think there’s a good chance of that. Right now, the alarmists are probably pretty desparate for ways to explain away the fact that nature doesn’t seem to be cooperating with them. Using the reference provided by “Brian D”, take a look at this volcano using Google Earth. As reported in the above link the caldera is 3.5 kilometers in diameter and the central lava dome (pre-eruption) is 2 kilometers in diameter as measured in Google Earth. Google Earth gives the elevation of the lava dome as 925 meters which is 300 meters above the floor of the caldera. If this were a half sphere ((4/3*PI*R**3)/2) with a radius of 1 kilometer we are looking at a little over 2 cubic kilometers of lava rock minimum. In comparison the current post eruption caldera of Mt. St. Helens (46.20N, 122.18W) is less than 2 kilometers in diameter. The current lava dome is approximately 0.5 kilometers in diameter. Now let’s look at Mt, Pinatubo (15.13N, 120.35E) in the Philippines. The current post eruption caldera is 2 kilometers in diameter and is occupied by a crater lake. Given the size of its caldera and lava dome I would not underestimate Mt. Chaitén. Also it has a larger (in elevation) neighbor, Mt. Minchinmávida (42.78 S, 72.43 W) which was active as recently as 1834 as reported by Charles Darwin. The real problem is that even if Mt. Chaitén has zero impact on climate and there is a global cooling event, the official party line will be: “The volcano ate our global warming”. Can someone please calculate the carbon footprint…..
One other thing, the town of Chaitén is 10 kilometers south of the volcano and along a river which is feed directly from the volcanic uplands to the north. I don’t know what the current snow conditions are on the mountain but I hope someone is planning for the possibility of a lahar. The river valley looks like a classic lahar flood plane. Arch, I don’t accept that manmade CO2 will have much of an impact at all. It does not seem to have, at least so far. Prove your hypothesis. Your bangs hide the lobotomy scars well…. Wonder what this eruption’s impact will be in addition to similar, but not quite so large, volcanic events in Indonesia, Peru and Colombia in the past two to three weeks? Not comparable I know in terms of magnitude or particulate matter expulsion, but still intriguing. A mere blip compared to the centuries of impact anthropogenic fossil fuel derived CO2 will have. *snort* You’re not actually saying that CO2 from volcanoes is different from that emitted by burning fossil fuels, are you? CO2 is CO2, no matter where it comes from, and what humans are responsible for is a tiny fraction of what the earth and all of nature emits. I don’t think anyone has shown that CO2 from fossil has had any measurable impact whatsoever. I would say that land use changes have had more of an impact on land temperatures than fossil fuel burning does. The key would be for someone to look at times in the past when atmospheric CO2 content was 10 times higher than today and we were in an ice age. In fact, I would also propose that fossil fuel burning might actually be saving us from starvation. Earth’s CO2 level was reaching the point where plant life was going to have a hard time surviving. Ahhhh, I’ve got it. CO2 spewing out of a volcano is “natural”, so it is good AND short lived versus bad ol’ industrial CO2 which will cause loss of ice and extinction of polar bears for hundreds of years. I hate cold and polar bears. This eruption looks pretty wimpy so far. It does look like it’s cleared out the plumbing without a big explosion, so it may not have enough energy to get SO2 into the stratosphere. Anything that stays in the troposphere rains out quickly. I don’t know if these Western Americas volcanoes release all that much SO2 or CO2. The Indonesian volcanoes do a lot better in that regard. St. Helens blew off 1 cubic mile of magma and mountain. It and El Chichon (don’t know the size offhand) had little climate impact. Pinatubo (size ? ), Krakatoa (5 cu. mi.) and Tambora (25 cu. mi.) are all Indonesian volcanoes. Tambora may have been the largest eruption in 10,000 years. It occurred about 2/3s of the way into the Dalton Minimum and brought the Year without a Summer. From weather logs I think the storm track was forced south out of Canada, and that brought the most severe effects to New England and Europe. See my http://wermenh.com/1816.html for a New Hampshire point of view. I added a note there just last week about the Dalton Minimum. My guess is that people don’t bother to instrument volcanoes that have been dormant for 9,000 years. Volcanoes don’t have the decency to follow scripts, but common precursors are swelling (sometimes visible as cracks in the ground of snow cap, but better recorded by GPS or tiltmeters), minor earthquakes, and “harmonic tremors” that occur as magma moves upward in the volcano. BTW, I know less about volcanology than I do about climatology, so take all the above with a healthy share of skepticism. I know, I know, that’s just standard operating procedure. Will a real geologist please speak up? Anthony – Love the site, very educational. 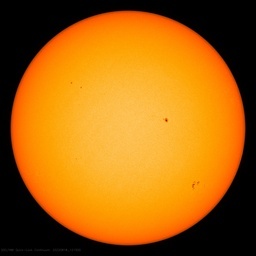 OT, but I was just looking at the SOHO images and is it just me or does it look like there’s a sunspot developing in the lower left quadrant? If so, would this still be a cycle 23 spot given its low latitude? I wonder how this volcanic eruption from 1991 in S. Chile affected the S. Hemi. Might be hard to tell because of Pinatubo the same year. Note: There is another volcano with the same name in Antarctica. Cerro Hudson volcano is located in southern Chile. The volcano contains an ice-filled, 10-km-wide caldera. In 1991 Hudson volcano produced a large eruption of volcanic explosive index 5. It was one of the largest eruptions of the 20th century. An ash column to 18 km and ashfall on the Falkland Islands 1000 km away were reported from Hudson. Found some more info on the Hudson eruption 1991. In one of the largest eruptions of the century, Hudson erupted again between August 12-15th, producing a column 18 km high. Ashfall was observed on the Falkland islands (~1,000 km SE; Figure 5), and covered a total area of ~80 000 km2 (Figure 3 and 5). DRE (dense rock equivalent) tephra volume estimates range between 2 and 6 km3: >1 km3 was deposited in Chile, around 2 km3 in Argentina, and 2 km3 may have fallen in the Atlantic Ocean or been lost to the atmosphere. 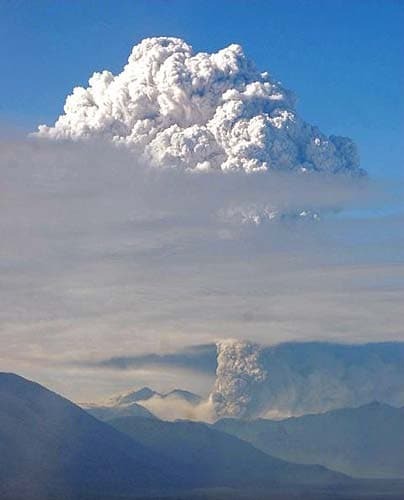 Satellite data showed that the eruption produced a large SO2-rich cloud, estimated to contain 1.5 megatons of SO2 on 16 August, which was transported twice around the globe in 2 weeks [BGVN 16:08]. The warmanists will use this eruption as an excuse for all future cooling events now…. AGW theory is alive and well they will try to asure us!!! …. Sorta which then begs the question… If after decades of increasing CO2, the Anthropogenic effects of that are not OBSERVABLE in any CLEAR sense. Yet a volcano pops off…. bingo immediate effect measurable and clear. Probably proves the point that it is all about Albedo…. very little to do with CO2…. Looks like that to my unlearned unscientific eye anyway. Volcanos erupt almost daily somewhere in the world. Volcano watchers will regard this eruption as just another however it is interesting to note that Chaiten has been considered to be Extremely dormant – almost classified as extinct. It will be a little while until the end of the eruption process and the investigating volcanologists will issue a VE number based on the amount of ejected material. It takes an eruption of VE 5+ to cause significant alteration of the climate. The largest recorded eruption in the 20th Century was Pinatubo. The Calculations of cooling were between 0.5c and 1.1c for about a year and half post eruption. Krakatau although dramatic had a much less effect on the world climate than Tambora. VE 6 eruptions are estimated to take place on an average of every 1000 years. There is some evidence that Krakatu erupted with an intensity of VE6+ during the initial stages of the medieval cool period (circa 1350.s) Unfortunately because of the way it explosively erupts much evidence has been literally blown away. It doesn’t matter whereabouts on the planet a VE6+ eruption occurs. The ash stream raises so high it envelopes the planet. Some volcanos have been in continuous eruption for hundreds of years. In just one eruption Pinatubo put more ozone damaging gases into the atmosphere then 10 years of total man made stuff. One anecdote for you. I lived in Indonesia for twelve years. The air is so contaminated by volcanic fumes in Indonesia it is not possible to distill rainwater enough to use for some industrial purposes. We needed to import distilled water from Scandinavia for our pourposes. I seriously doubt there’s a significant relation between tectonics and solar activity. Thanks for the hazards site! It’s very interesting. They (at least Hansen) are still insisting it’s still warming dramatically. But my feeling is that they’ve begun searching for back doors. Still, you could barely get a cat through this backdoor that this volcano presents. They won’t try to bolt through it. And even if they did, what would that say about their CO2 theory? It would say that even a routine volcano can overwehlm their “powerful” manmade CO2 GHG effect. Don’t try it Hansen! Concerning data on magnitude – I agree we’ll have to wait. Volcanoes need to be BIG (VEI > 3 or 4) to really have an impact. Looking at Drudge, it looks like a big puff. Volcanos erupt somewhere on the planet virtually every day. Most are small size. Some volcanos have been erupting continuously for hundreds of years. The second largest recorded eruption of the 20th century was Pinatubo. VE5+ It caused world wide cooling of between 0.5 and 1.1 degrees for approx one and half years. The eruption index of Chaiten will not be known until studied and evalueated by Volcanologists. VE 6’s have an approximate frequency of 1000 years. However there is conjecture that Krakatoa may have had a VE6+ in the period of around 1350 and possibly another around 4 -500AD. Unfortunatetly with Krakatau most of the evidence gets literally blown away. Willem de :ange: Never heard it said before that Pinatubo was the only volcano in 1991 to have an effect that year, but it is the most talked about. Same thing with the early 80s. Most people only mention El Chichon, though there were at least three that year that registered on the DVI. Brian D: If you download the linked hemispheric SATO INDEX and zoom in on 1991, you can see the separate impacts on the Southern Hemisphere of the two explosive volcanoes that year. Oops, the NH is the Blue curve and SH is Red. Also note that VEI has a poor correlation to temperature. Mt St. Helens had a high VEI but little temperature effect. (Unless you lived next door.) Research the Lamb Dust Veil Index (DVI) for a better reference on temperature effects than VEI. I’m still looking at the SATO Index as a good one too. Unfortunately, I haven’t found an updated version. The version I have ended in 2000. If volcanic eruptions of sufficient size tend to cool the Earth for short periods of time due to aerosols, isn’t that saying that less sun produced energy hits the Earth? If so, then isn’t that similar to solar variance? So if the Goremaniacs insist that solar variance has no effect on temperature, how can the aerosols from a volcano? It is well known that some volcanoes can induce short term climate change, the one that we all know about in recent years is the 1991 Pinatubo eruption. Does that mean any man made emmissions are inignificant and therefore cannot be effecting the climate in any appreciable way? “”Man-made, or “anthropogenic” emissions can make the consequences of volcanic eruptions on the global climate system more severe. For instance, chlorofluorocarbons (CFCs) in the atmosphere start a chain of chemical reactions on aerosol surfaces that destroy ozone molecules in the mid-latitude stratosphere, intensifying observed stratospheric ozone depletion. CO2 from volcanoes is negligible compared to man-made (1991 Pinatubo was 42Mt, man-made 7100Mt / year). Other natural sources are much bigger however (150,000Mt / year). SO2 has to reach high in the stratosphere to have a climate effect. Pinatubo reached 30 miles. The current eruption has reached 20km. If there’s a relationship, I wouldn’t expect it to be visible on less than geological time-scales. I would expect much of the effects to be cumulative (over time, adding up to greater aerosol output and activity and increased volcanic activity during big increases in CRF and shift in magnetic fields). I think the maunder minimum activity is interesting though. You don’t do your school any favors. I stated an opinion (as have many other folks here). AGW is a theory, not a hypothesis. If I could prove AGW it would no longer be a theory now would it? It would appear you have me confused with someone else. Not other than it has a different source. What made you think so? Human CO2 emissions of >22 billion tons annually (I am not including metabolic emissions here) overwhelm total annual world’s volcanic CO2 emissions by more than 2 orders of magnitude. When all the world’s volcanoes begin to erupt 10 times the annual CO2 they currently do I still would not worry about it. 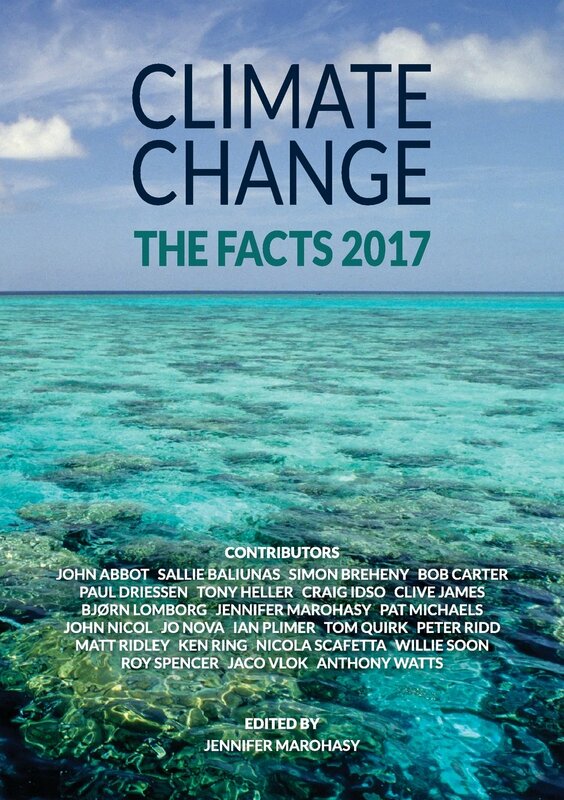 When they begin to emit 100 times the annual CO2 they currently do, and look like they will continue to increase in CO2 emissions for at least the next several decades if not a century, then I would worry about them also (although they would still not be releasing as much CO2 as we currently do). More or less a true statement, but of little relevance to the discussion as the amount of CO2 that nature has been emitting to the atmosphere (over the last 10k years) nature has also has the power to sequester (from the atmosphere). Nature currently only has the additional power to sequester about half of the additional CO2 we humans are currently emitting into the atmosphere on top of the job it was already doing with “it’s own” emissions. Few have predicted that it would thus far. The concern is about the future. Our emissions continue to rise. Land use changes are currently releasing almost as much carbon into the atmosphere as fossil fuel burning is, so you have some credence here. UHI effects are negligible on a global scale. Human albedo change effects are largely offset by evaporation effects so the net effect is unlikely to be very significant. What do you base this statement on? Which ice ages are you referring to and why is this “the key”? Ice ages are due to the effects of many forces other than CO2. CO2 levels did not change significantly over the last 10k years. Why do you think they are now reaching this point? No, you didn’t get it yet. See above. BTW, I’m not personally very concerned about polar bears. And FYI extinctions are forever (not just a couple hundred years). This is a caldera volcano residing, no doubt, astride a rifting fault. These are a different animal than the common stratovolcanos among which are Pinatubo, El Chicon, St. Helens, etc, lying above subducting plates. The eruption is obviously plinic, therefore VEI starts at 4. In coming weeks we might find it to continue continuously, then intermittently for a few months. Plinic eruptions require upto 20% of the mass to be H2O and CO2 gas to support the column, H2S can also be present in quantity. Tambora, a stratovolcano last erupting at VEI 7, and another unidentified major eruption ca. 1812, raised CO2 worldwide to 450ppm. This eruption is believed to be the second major eruption of this small caldera so no real history has been established. If it proceeds to class, a VEI of 6 could easily result. This would definitely be felt worldwide, in the SH anyway. But it takes 100 years to get co2 out of the atmosphere. Whereas St. Helens blew out obliquely and put lots of ash into the troposphere (and even some onto my car, hundreds of mile south), this one went strait up, and shot it into the stratosphere. It will probably exceed St. Helens, greatly, in terms of climate impact. Felt, yes, but due to ash and particulates, not CO2. New Chaitén explosion a few hours ago. aaron: If I find the citation for the 1812 eruption also showing the 1815 Tambora eruption, I will pass along. I find all the discussions on Volcano eruptions very interesting but I’m somewhat confused on the discussion of the effect on the earth’s cooling/heading. In the discussion between Archie and Texas Aggie they are debating the difference these two have on the earth’s temperature. Living near Dallas for the last 60 years, I’ve noticed a stark change in temperature difference in Dallas County to Collin County. Driving North anytime during the year you can see a 5-7 degree variance, warmer in the city. Our population in the world has grown from a couple of billion people to over 6 billion in the last 50 years. This means the cities have grown proportionately adding much more heat to the surface of our planet. I know adding a portable heater in the corner of my room will eventually add heat to the whole room. Maybe this argument needs to shift to how much concrete we have versus rural vegetation! I know adding a portable heater in the corner of my room will eventually add heat to the whole room. Only if you keep your windows shut, in which case your analogy doesn’t apply. Unlike your (closed?) room or a greenhouse, the earth releases heat into space. The reason temperatures are higher in greenhouses is because the enclosure limits convection, not because of the elevated CO2 levels.